Obituary for Robert Earl Strawmier | Sierra View Funeral Chapel & Crematory, Inc.
Robert Earl Strawmier was born in Denver, Colorado on January 29, 1956. He passed away at his home on August 8, 2018 with his beloved family by his side. Bob, as he was known to family and friends, moved to Orangevale as a child where he later attended Casa Robles High School. It was there at age 14 he met the love of his life, Sarha. The two married young and raised their two children, Robert Douglas and Angel Lynn, in Citrus Heights. Bob and Sarha were married for 42 years. Anyone that knew Bob knew he was an avid Harley Davidson fan. His garage is a testament to his passion for motorcycles as well as anything loud and fast. He worked for the Ford Motor Company at Harrold Ford for 40 years. Bob also had a very strong bond with his family who he loved dearly. He was loved and well liked by all who met him. His quiet way of cracking jokes was enjoyed by everyone that knew him. 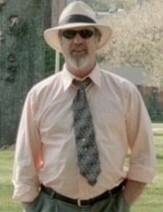 Bob Strawmier is survived by his beloved wife, Sarha Strawmier, his son, Bobby Strawmier, his daughter, Angel Robinson, his daughter in law, Araceli Strawmier, his son in law, Chris Robinson, his 4 adored grandchildren, Henry Robert Strawmier, Arielle Lucia Strawmier, Austyn Douglas Robinson and Jax Clark Robinson. A Celebration of Life for Bob will be held on Saturday, August 18th from 2 pm to 5 pm at the Orangevale Community Center Activity Building 6826 Hazel Avenue, Orangevale, CA 95662.